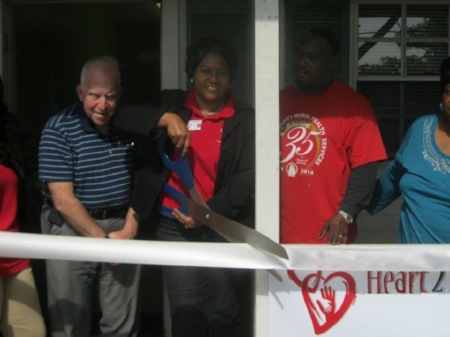 Heart2Heart Helping Hands is an affordable home companion agency located in Ellenton, Florida, serving Hillsborough, Manatee and Sarasota counties. Heart2Heart Helping Hands was designed to provide companionship to individuals requiring socialization and/or minimum guidance to assure a protected environment. We offer non-medical home management services within the home of each client. Heart2Heart " (which means intimate, personal, one on one) was founded by Mrs. Nefertiti Tate in December 2014. Mrs. Tate, in her passion for helping and wanting to better the lives of others, had a vision to see elders happy and living life as independently as possible in the comfort of their home setting. Our highly trained and compassionate Homemaker/Companions will provide customized home care based on the individual needs and schedules of each client, allowing the client to enjoy life on their own terms. Our thorough assessment and interview process ensures that we sustain and maintain fully qualified team members. Every Heart2Heart Helping Hands caregiver has completed a criminal background check, drug screening, and has undergone training to ensure that our clients receive high quality service.